In school, at work, driving and even during meals, most of us spend the majority of the day sitting. Even worse, after a long day, we get home and continue our sitting on the couch watching television. This adds up to a cumulative U.S. average of more than 9.5 hours per day of inactivity, according to the World Health Organization. It’s no surprise that an inactive lifestyle has been linked to increased risk of diabetes and heart disease, as well as a loss of muscle and bone strength. 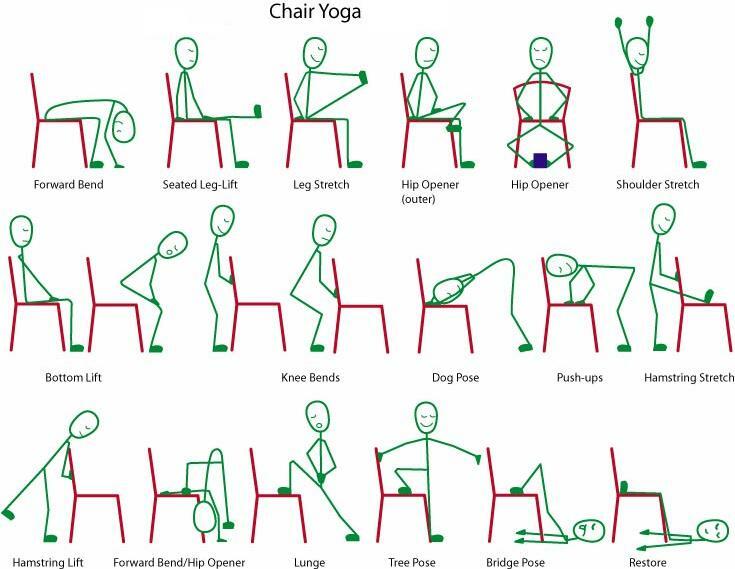 When we spend all day in a seated position, our body lets us know. 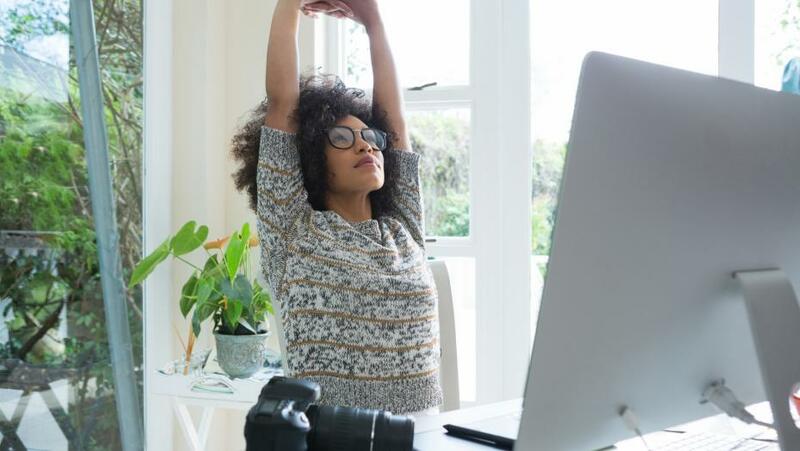 Whether it’s lower back pain, wrist pain, tight muscles in the neck or a lack of mobility in the hips, there are some simple stretches you can do to improve these issues. Below are some small changes that can make a big difference in your overall health. Neck rolls: Slowly! Ear to either shoulder, chin down, chin up. Wrist circles/bends: Circle in and out, bend up and down. Hip circles: Hands on hips, circle left, circle right. Additionally, having a desk set up properly can also help with some of these issues; Use this site to help plan your office accordingly. Even people who exercise regularly are still at risk of not getting enough active time daily. Sit Then Stand: Sit, stand, and repeat! Pushups: Any variation will do, on the floor will be tougher, but using the wall or desk is a better option. Calf raises: Stand up on the ball of your foot, hold 5-10 sec, back down, and repeat. Glute clinches: It may seem silly, but it’s a great way to do some work on your glutes and increase circulation. Hold each for 5-10 seconds and release, repeat throughout the day. Wall sit: Start with 10-20 seconds, working up to a minute. Place back against the wall slide down until knees are at 90 degree angle, and hold. Bring weights or improvise: Stash a set of dumbbells in your office and you can do bicep curls, tricep kickbacks, shoulder press, etc. you can also use water bottles, binders, use your imagination! Punches/Boxing: Great cardio to add in your day, try 20-30 seconds for 5 min! Plank: great for abdominal stabilization, start with 15-20 seconds, and try to work up to 45-60sec! Oblique twists: While standing, hold arms across chest and twist slowly from the hips—if you hold arms out or a weight you can increase the intensity—try for 20-30 seconds. More tips: exercise all the time by creating a more active lifestyle! 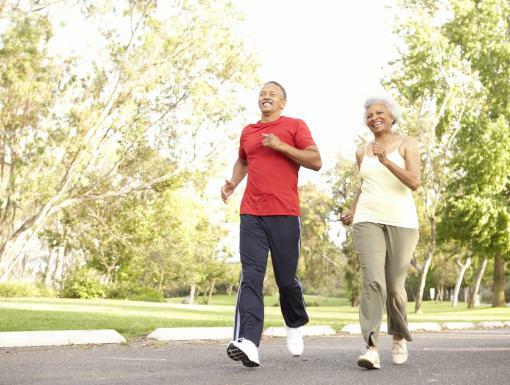 Park farther away—get some extra steps in when you can! Walk around while on the phone—same as above, plus the conversation is typically a pleasant distraction. Stand-up desk—this may not always work for you, but it’s good to have the option. Take the stairs—you already know! Get a Fitness Tracker—great for motivation! Clean/organize when you’re watching TV, bored or “have nothing to do"—we’ve all been there, and you’d be surprised how many calories this actually burns!! Set alarms to get up—ideally, you should get up every hour, just to keep moving. Exercise on your lunch break—it really isn’t so bad I promise! It’s essential to be aware of how much time you accumulate sitting during the day and more importantly, what you can do about it. It’s a vicious cycle to break since school and/or work forces us to sit for long periods of time. However, you are now armed with an arsenal of stretches, exercises and tips to help increase your health and decrease your waistline; so, no excuses! Additionally, it’s reported that walking for only two minutes per hour can reduce the harmful effects of a sedentary lifestyle, so why are you still sitting? Get up, and get moving! !